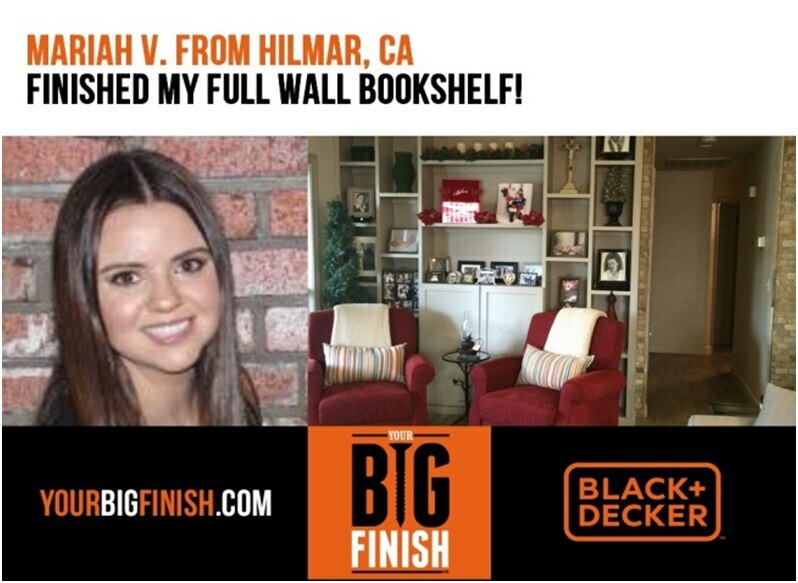 Are you sure you want to remove "Your Big Finish Winners" from My Projects? We challenged America to get movin’ and finish any project they’d been putting off for months. 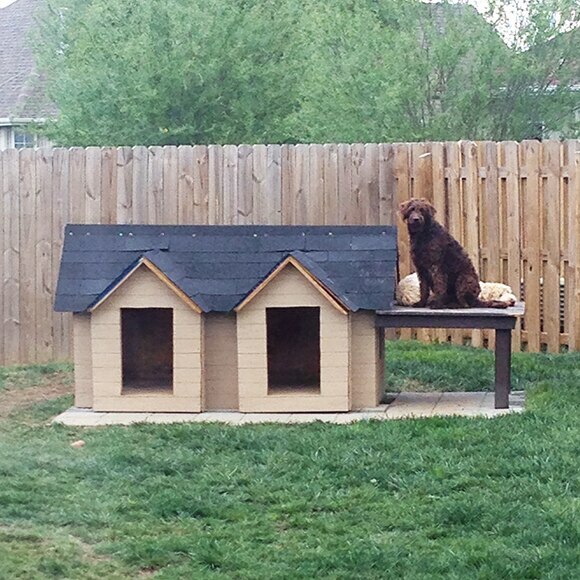 Everyone jumped into action –it was about time! 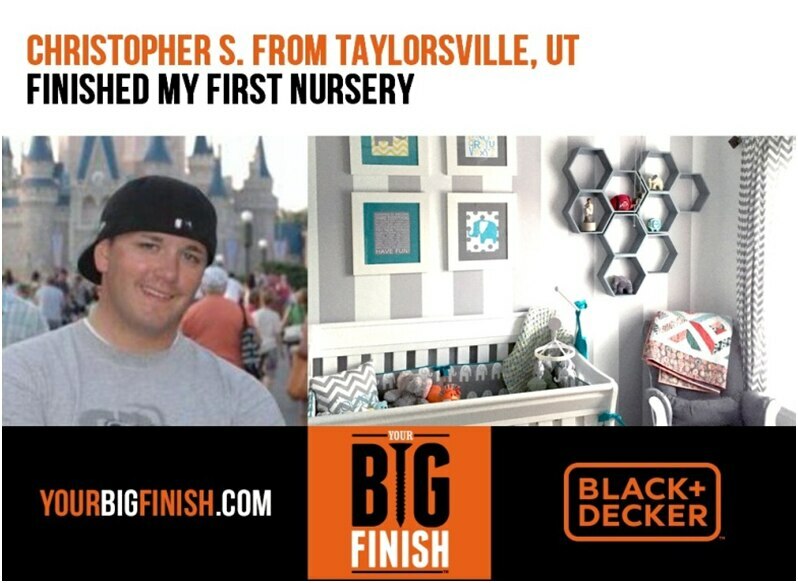 Now, we are excited to announce the grand prize winner of our Your Big Finish contest. Congratulations, James S. from Cool, California. 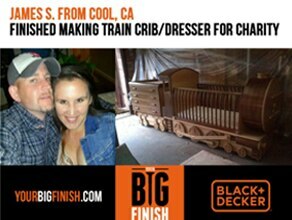 Your “train crib” was one of a kind! 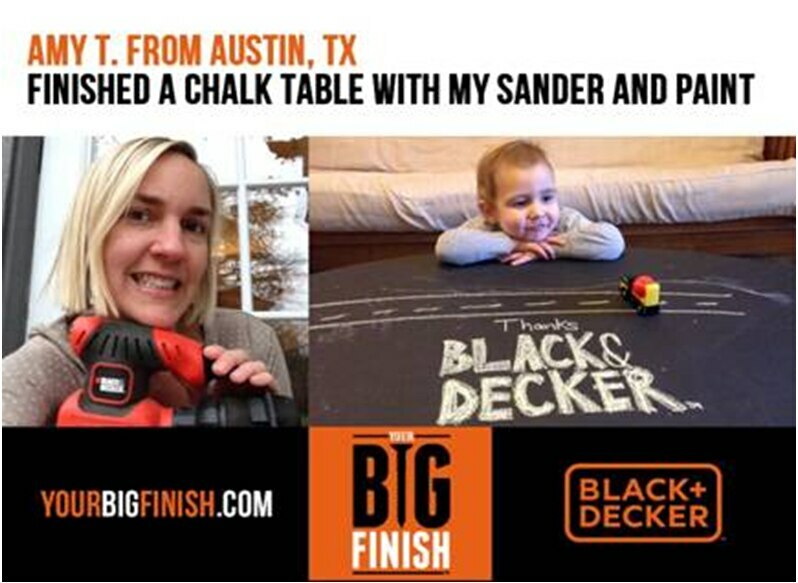 All projects were judged by the BLACK+DECKER team based on the “Your Big Finish” theme, the creativity of the project, and how different it was from other projects we’d seen. We wanted to see YOU take advantage of this opportunity to get motivated to FINISH the projects that you had been putting off for months. And America, you came through! 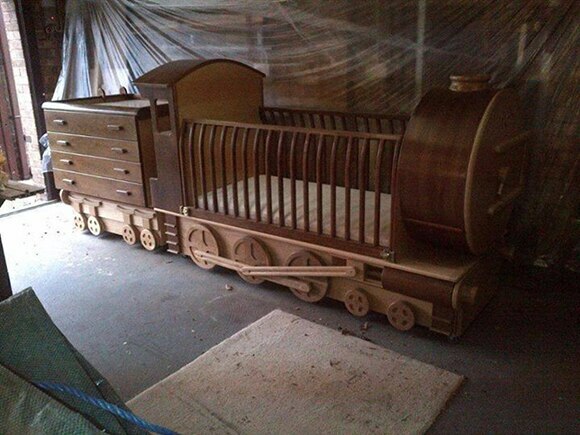 Complete with shelving storage space in the “engine”. We’d also like to shout out to the incredible projects submitted by weekly winners. 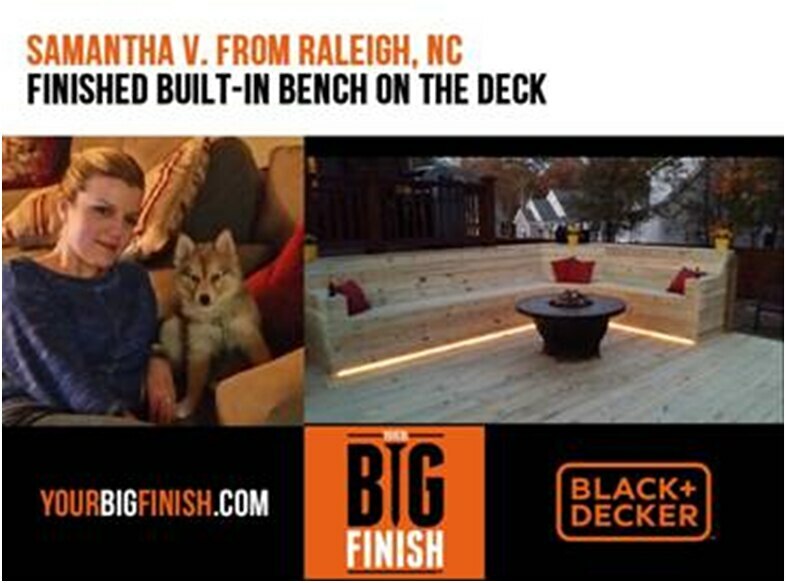 Samantha V. from Raleigh, NC build the coolest porch bench on her deck. 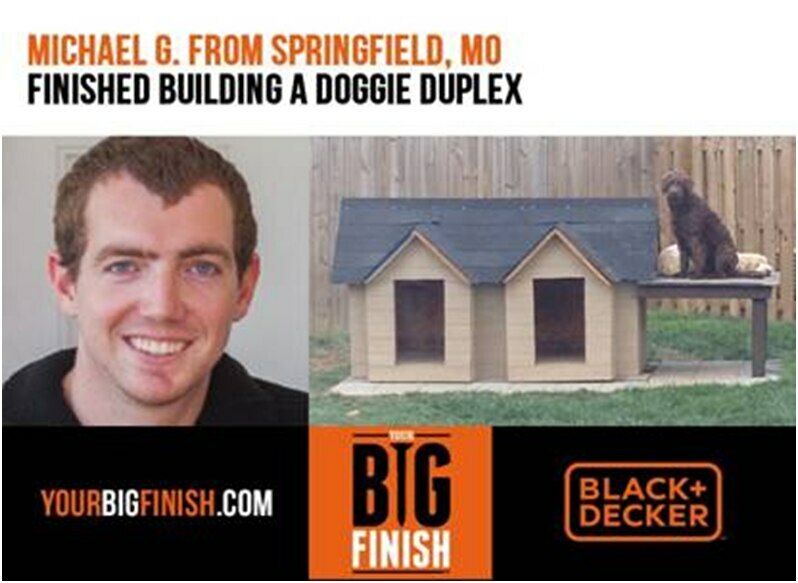 We don’t know who loves Michael G.’s dog house more, us or his pup. 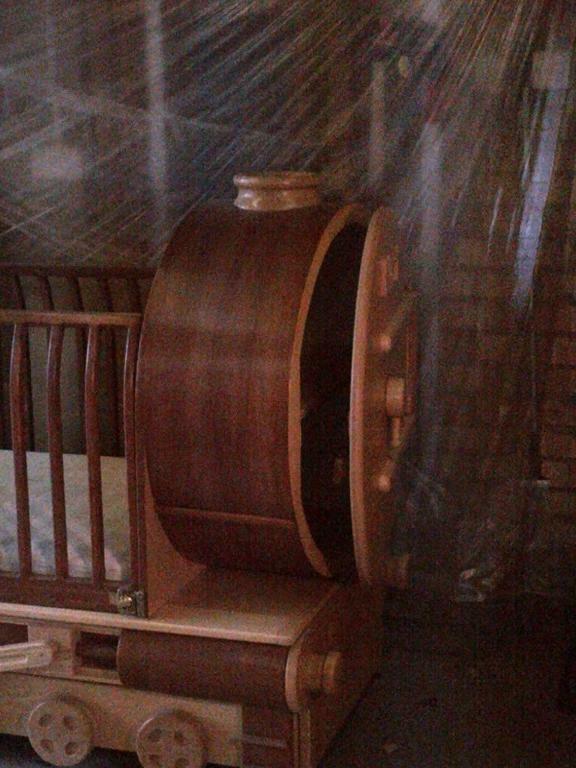 Joe D. submitted several projects that make us want to drop what we’re doing and start our own (let alone finish our old projects!). 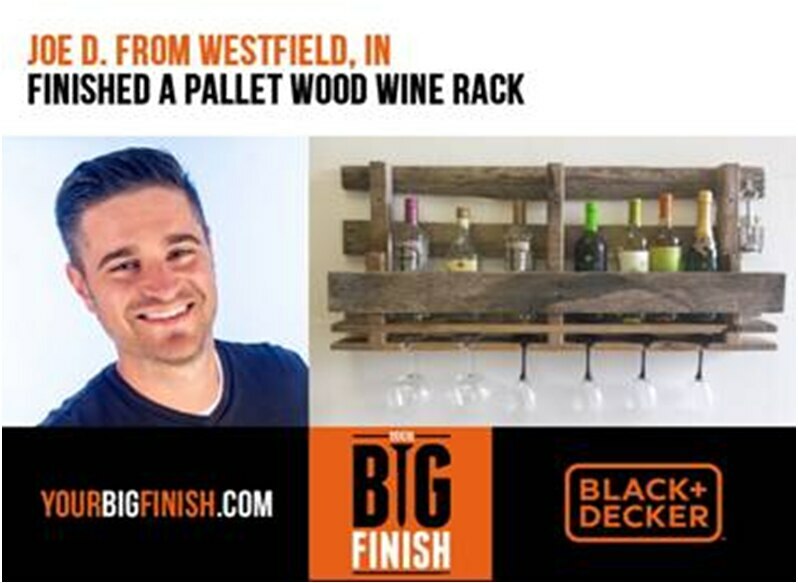 His wine rack took the cake. 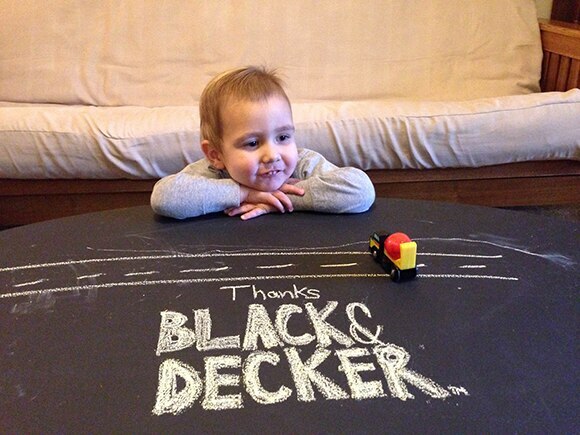 Amy T. has one lucky son with one sweet chalk board table. 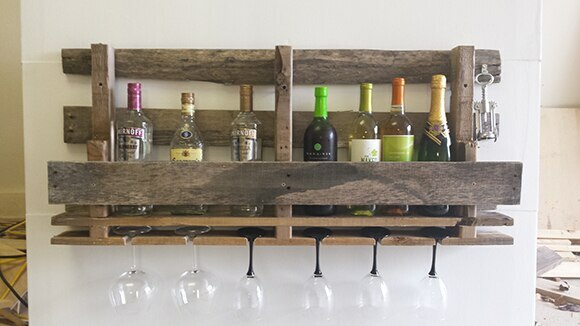 For more project ideas & inspiration, FOLLOW US on Pinterest.